ann marshall is on the list. my "one day when i'm rich i will buy a piece from this artist and this artist and this artist list." it's actually not that long, and only the ones that make my heart beat quick are on it - like annabelle marquis and m.a.tateishi. 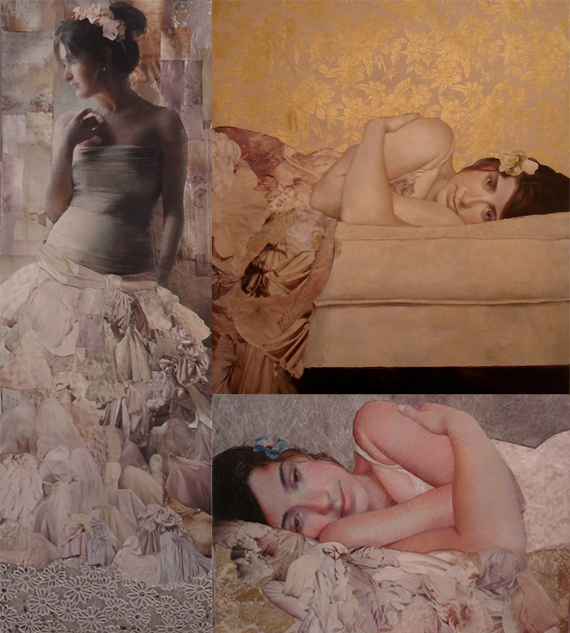 in terms of ann marshall's art, i want a self portrait done in photography, pastel and paper collage. i've never ever wanted a self portrait of myself so that's kind of a big deal! p.s. just a reminder that the first tues of the month is an art crawl on isavirtue. i would Love for you to participate by sharing your favourite artist of any kind on your blog - and linking up here! The exhibition of Ann's work looks gorgeous! You picked some of my faves and they all look so beautiful together.